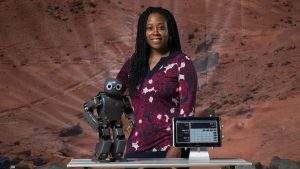 When I sat down to interview award winning roboticist Dr. Ayanna Howard by phone, I felt confident that I’d researched her thoroughly and formulated my questions carefully, but I was still thrown off by one thing. She didn’t look like a roboticist in any of the pictures I’d found. I know it sounds silly, but I was expecting thick frames, frizzy hair, and all the tell-tale signs of a woman who’d giver herself over to years of late night research and an exorbitant amount of reading. So I was pleasantly surprise by the slim brown woman who smiled back at me from her photos on Google. She looked radiant and content, like a life coach who’d just released her first vegan cook book. But as Dr. Howard, who’s also a renowned professor at Georgia Institute of Technology, began to answer my battery of questions, I uncovered the secret to her life and accomplishments thus far: She simply dared to dream big. Then, she let that dream take her where she wanted to go. Naturally, the first question I asked was about her influences and what attracted her to engineering. Dr. Howard, who was in middle school during the late 1970s, says she got caught up in the same love for sci-fi that the rest of America experienced at the time. She was particularly fascinated with the TV show The Bionic Woman. When asked about what aspect of the show she enjoyed most, Dr. Howard says she’s most impressed by the fact that the show featured a female heroine. Dr. Howard went on to say that watching The Bionic Woman helped her figure out what she wanted to do with the rest of her life. Right then, while still in middle school, she knew what impact she wanted to make on the world. Dr. Howard’s level of determination was rare, but it’s clear that where she is now is a result of that determination. So next, I asked her about the step she took from that point to land her at NASA’s Jet Propulsion Lab, which was and still is the top spot to study physics and engineering in the country. Dr. Howard chuckled, and gave me an answer I hadn’t expected. Listening to Dr. Howard, anyone would be inclined to believe that she was put on this earth to design robots, but when I questioned her about discrimination and barriers in her academic and professional career, her first answer was short and to the point. I sat waiting for what I knew was about to be a lengthy, informative answer to her rhetorical question, and she didn’t disappoint me. 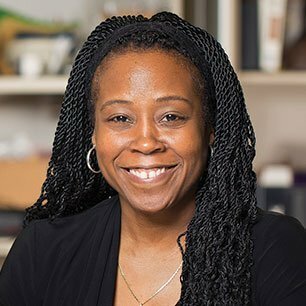 Even though hearing about exclusion and lack of diversity in engineering and other STEM fields is typically a bummer for me, Dr. Howard’s story about how she demanded and maintained a level of respect that kept her work environment from being a toxic experience early on in her career is an inspiring one. Dr. Howard spoke about a few other incidents, but the tactic she used to garner respect was the same in each scenario. She iterated that whenever she felt undermined in any way, she made sure she was assertive. Her mentioning her students offered a smooth transition for me to ask her about another aspect of her teaching. Dr. Howard once spent a great deal of time tutoring women in homeless shelters—but not just any homeless shelters. us back to discussing robots again. 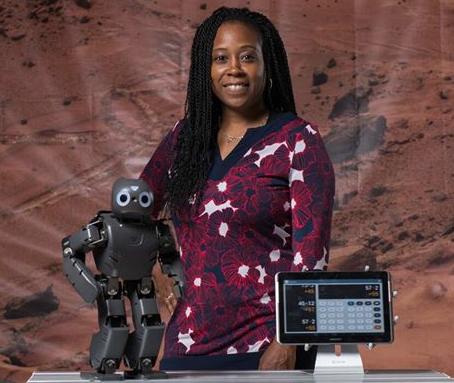 Obviously, her work as a roboticist meant that she thought a lot about the role robots would play in society too. She explained to me that the discussion we were having about robots was the same one that was had about computers and cellphones. She said that in fifty years or so, people will likely have robots integrated into many parts of their daily lives. But I wanted to know where her boundaries lay when she implanted human cognitive ability, and about if those abilities meant that robots could evolve. But I appreciated her answer, especially since questions about where to draw the line with artificial sentience aren’t easy for anyone to answer. So we navigated our conversation away from murky, esoteric waters and discussed something that Dr. Howard is extremely interested in—the future of young people’s participation in science, technology, engineering and mathematics (STEM) fields. Besides being a professor, Dr. Howard is also a mentor who speaks about the value of outreach and the effect it has on inclusion and diversity in STEM fields. Though she earlier admitted that there are still challenges for young people of color as they integrate into STEM field, her outlook is over all hopeful. “It’s like being able to craft whichever life and future you choose,” Dr. Dr. Howard said cheerfully. 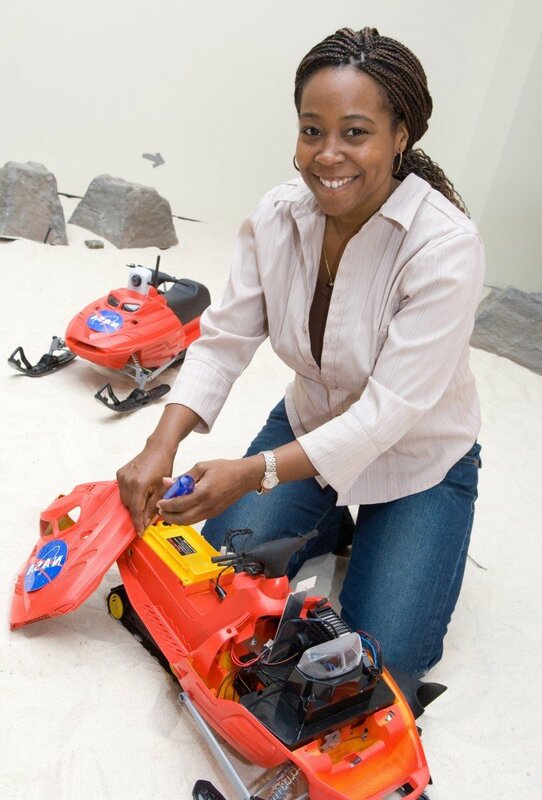 “STEM can take young people wherever they want to go. They just need to think big and go for it. M’Shai S Dash is a freelance writer and blogger from Washington D.C. She’s a pop-culture connoisseur and Legend of Zelda fanatic who writes about blerd culture, social justice issues, and afrofuturism. Dash is currently a staff writer for Blacksci-fi.com.